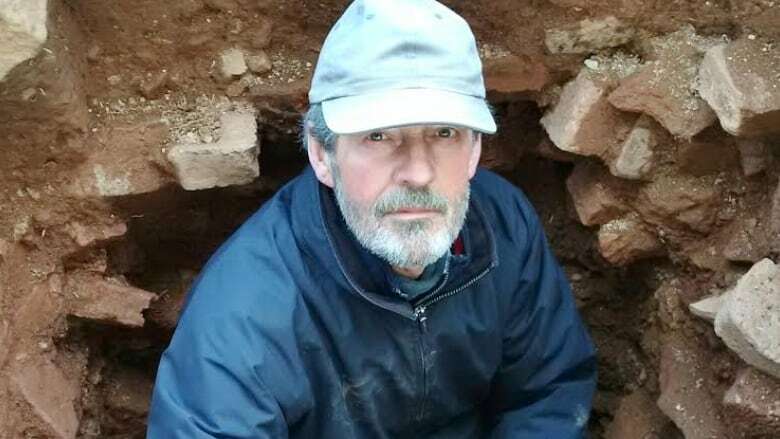 Parks Canada archaeologist Charles Burke says two discoveries his team has made at the Fort Lawrence National Historic Site, across the border from Fort Beauséjour, are "significant." 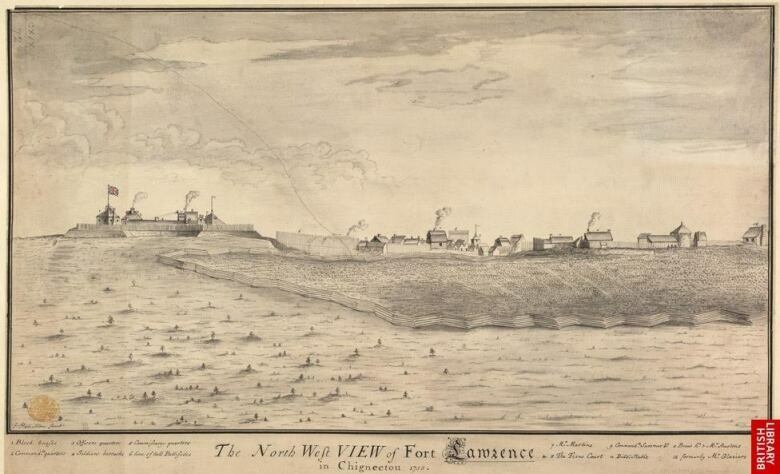 Fort Lawrence was built in 1750 by the British to defend the Isthmus of Chignecto, which connects Nova Scotia to New Brunswick, but was abandoned just five years later after the capture of Fort Beauséjour. "Over the years [Fort Lawrence] has been plundered several times, it's been built over, it's been moved and shoved around so there's not a whole lot of intact archaeological context left on the site, but occasionally we do get glimpses into that 1755 era," Burke said Wednesday on Information Morning Moncton. In November and December, Burke and his team uncovered what is believed to be the cellar of a large home built by Col. Joesph Morris in 1762 in an area that was slated to be a parking lot for a future interpretive park. "It would be the first house built in the area after the British military abandoned the property," Burke said. 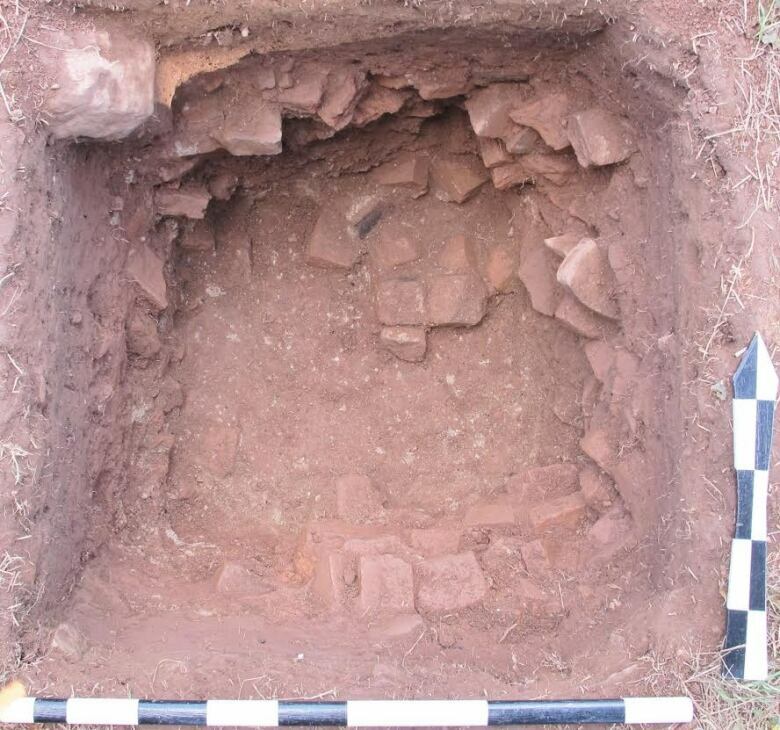 Archaeologists found a lot of brick, stone and artifacts at the site and Burke concludes the only thing it can be is the cellar of the home that was constructed immediately outside the ditch of the fort. Burke says Morris, a retired commissary general for North America founded both Sackville and Amherst. "He was a prominent New Englander who became involved in The Seven Years' War and served as the commissary general for Lord Amherst's attack on Fort Oswega in New York." After being captured, Burke says Morris was granted 34,000 acres in the Chignecto area along with the Fort Lawrence property. His daughter married William Eddy, son of the leader of the Eddy Rebellion. "It seems likely and you can't help but imagine that discussions about planning for the attack on Fort Cumberland in 1776 very likely occurred in or near that house." The Eddy Rebellion, also known as the Battle of Fort Cumberland, was an attempt by a small group of militia, commanded by Jonathan Eddy, to storm Fort Cumberland and bring the American Revolutionary War to Nova Scotia in late 1776. Burke says the home was burned after the failed rebel attack and Eddy's son and wife were forced to flee to the United States. The other discovery is a sort of pathway that is completely undisturbed, and rich in artifacts. "Just inside the walls of the fort we encountered what we call essentially a 1750 walking surface. That would be the level of the Earth that the British soldiers were walking on after the construction of Fort Lawrence and it's a very thin deposit but there are sufficient amounts of material in it to indicate that we are looking at that 1750 to 1755 era when the fort was occupied." 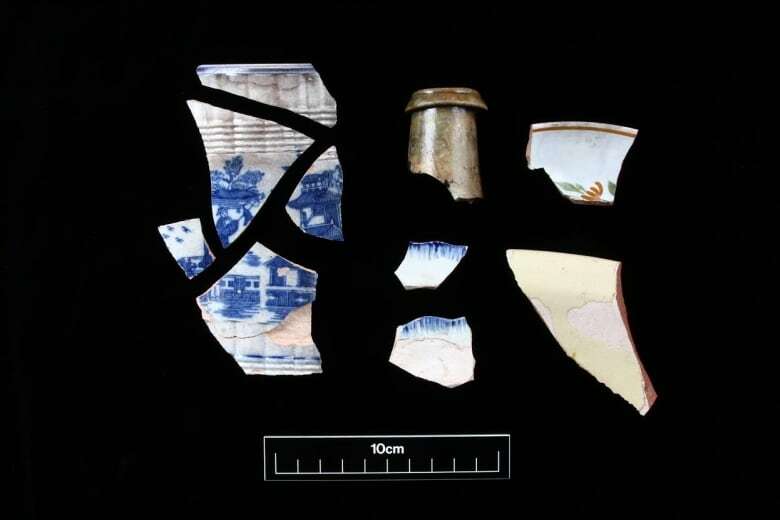 Burke says the surprise discovery is an indication that some of the remains of the fort's interior will be found intact. As a result of the discoveries, the parking lot design for the interpretive park has been altered. Artifacts from the site are now part of an exhibit at Fort Beauséjour and a travelling exhibit is being developed.